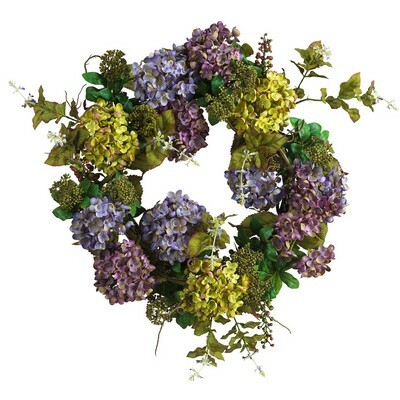 Liven up your home with this lovely multihued hydrangea wreath. A creamy mix of vibrant buds and blooms make this decorative piece a summer sensation. Soft colored pom-pom style flowers surrounded by rich foliage create a look that's subtle yet inviting. A full 24 inches round, this ornamental masterpiece is a nice focal point for a living room wall or display it on your front doorway to welcome guests. Martina, My mom was so thrilled with the "absolutely beautiful arrangement"... Thank you so much!